Make sure you know when your roof needs repairs. Your roof works hard to protect the rest of your home from the elements. 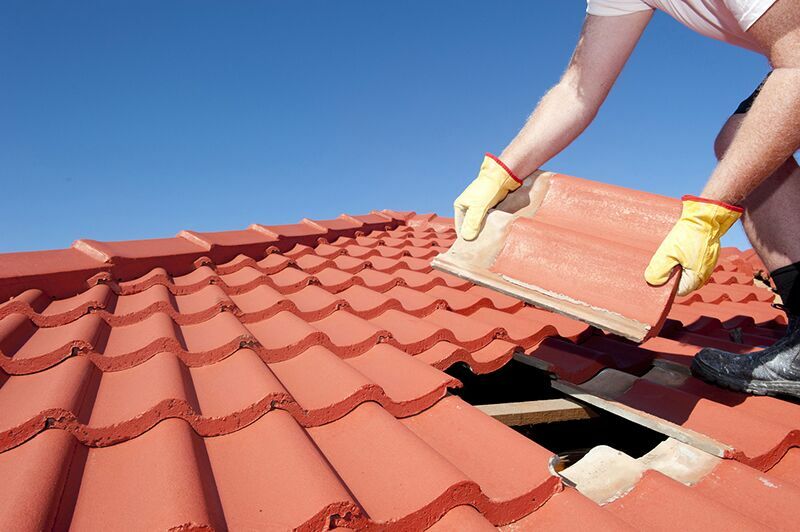 Unfortunately, your roof can get worn down and damaged as time wears on. With the winter rains ahead, it’s important to make sure you get the roof repairs you need this fall. Read on to learn which signs indicate that it’s time to repair or replace your home’s roof. Part of your roof inspection requires you to use a ladder. Do not undertake this activity if you feel unsafe climbing up a ladder and standing on your roof. Additionally, avoid doing your outdoor roof inspection if its windy, raining, or if you’re alone. Remember, your safety is always the priority so don’t be afraid to ask for help if you need it. Before you climb up on your roof, check your roof from the inside. Head up to your attic and use a flashlight to search for signs of a leaking roof. Things to look for include warped wood, discolorations, and places where your roof is sagging. Puddles and mold are also obvious signs of leaks. To locate where the leaks are happening, switch off your flashlight and look for any cracks or holes where sunlight filters in. If you notice any of these issues, you should contact a roofing professional and ask about repairs. Just because you don’t see any problems during your indoor inspection doesn’t mean that your roof is safe. There are also external signs of roof damage that you should look for. Once you climb onto your roof, look for any damaged, loose, or missing shingles. Broken shingles can leave the wood of your roof vulnerable to water damage. Additionally, look for piles of roof shingle granules accumulating in your gutter. Fallen granules are a sign of old age and wear and generally mean that it’s time to repair or replace sections of your roof. Look out for these signs and make sure you are giving your roof the attention it deserves. Remember, another way to make sure your roof and your home are ready and protected for anything is to have the right insurance coverage. Trust the professionals at Udell Family Insurance to find the best policy for your needs. Located in Westlake Village, contact us to get covered today.